Check out our tutorials for teachers! We have Beginner and Intermediate projects for students to design, 3D print, and laser cut - and there are more on the way. Follow us today! ​Our Instructables work is supported by an education grant from Autodesk. 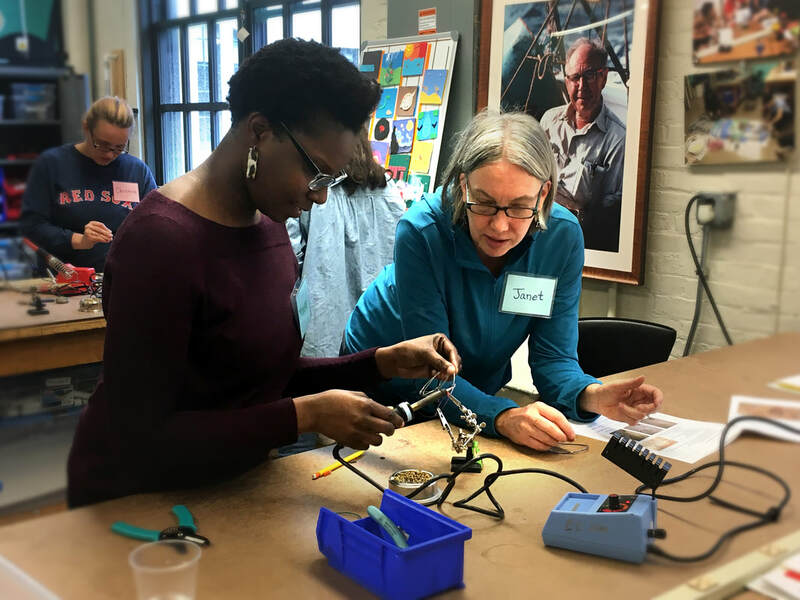 For decades before the dawn of the Maker movement, the Edgerton Center has been a home for Makers: collaborative, playful, experiential learners who believe everyone should have access to the tools for building a better world. We began by supporting MIT students as they came together and learned how to build the things they love. Over the years, we've grown to support local community members, international schools, and STEAM education organizations looking for access to tools, activities, and collaborators. With the modern Maker movement sweeping the educational landscape, we invite K-12 educators to join our community of Makers. This website is here to provide a useful resource for K-12 educators setting up, operating and enjoying Makerspaces.